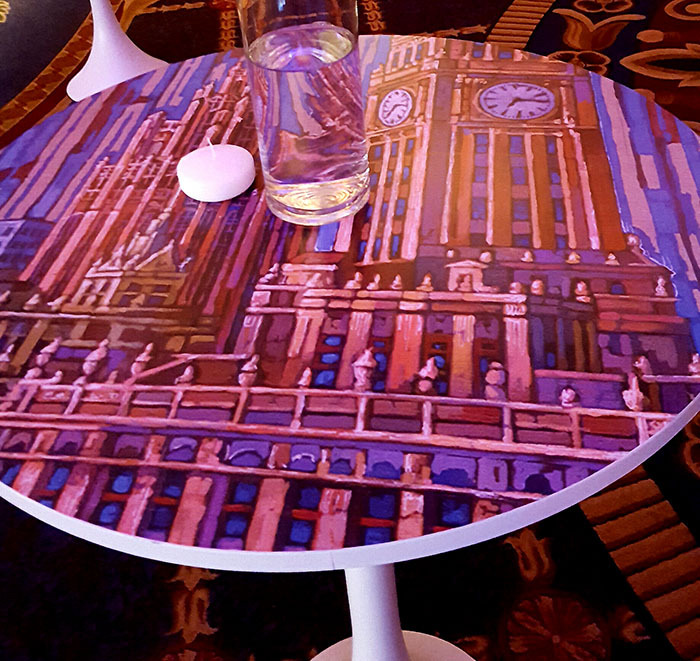 When acrylic painting, interior design, corporate budget, and city pride meet, results can be super unique! 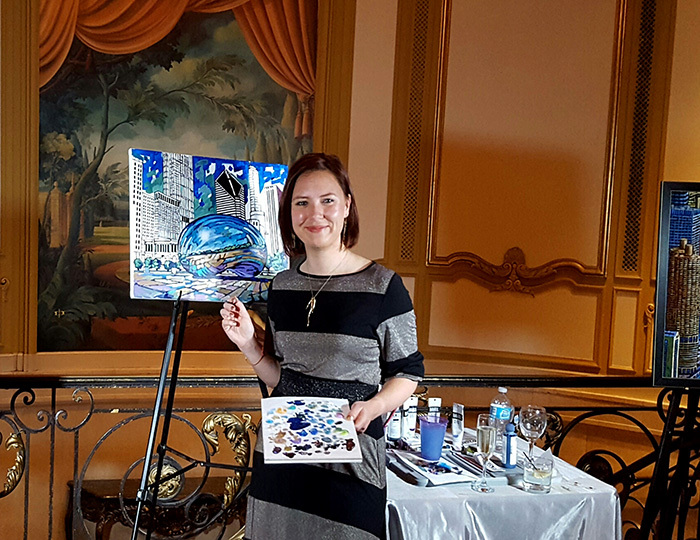 Such as – this gorgeous event that took place earlier this month at Hilton on Michigan Ave.
Anastasia Mak Chicago Hilton ballroom debut happened during a celebration party for a couple thousand event planners that gathered for a conference in our sweet home Chicago. 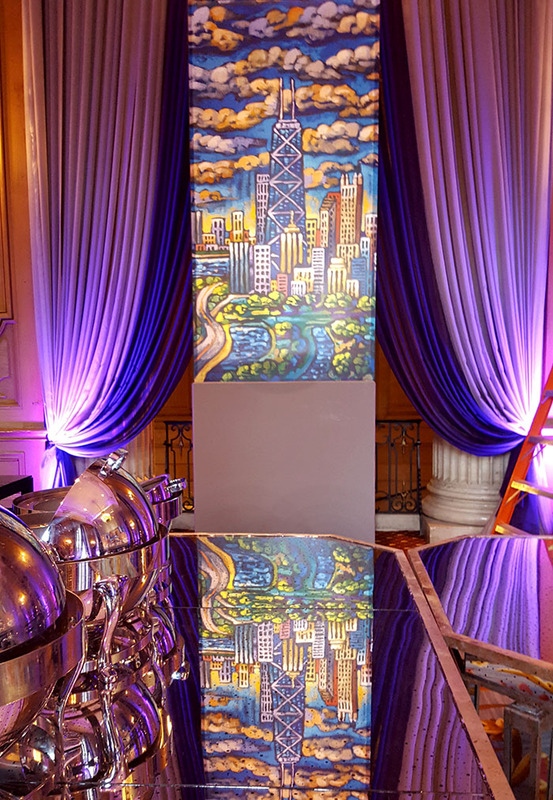 The artwork images were licensed for this one evening only, and, with the help of Access Chicago transformed into lit backdrops, columns, translucent panels, and cocktail table covers. 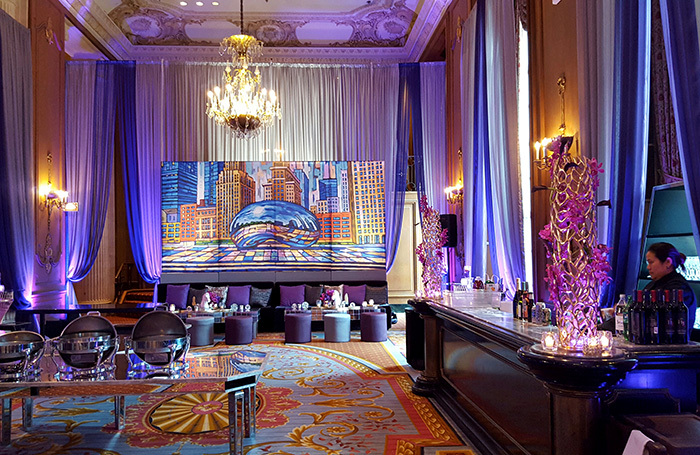 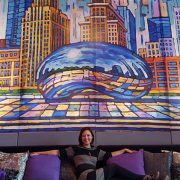 The smaller ballroom had a “Violet Hour” theme, with which my pastel Chicago Bean painting went pretty perfectly. 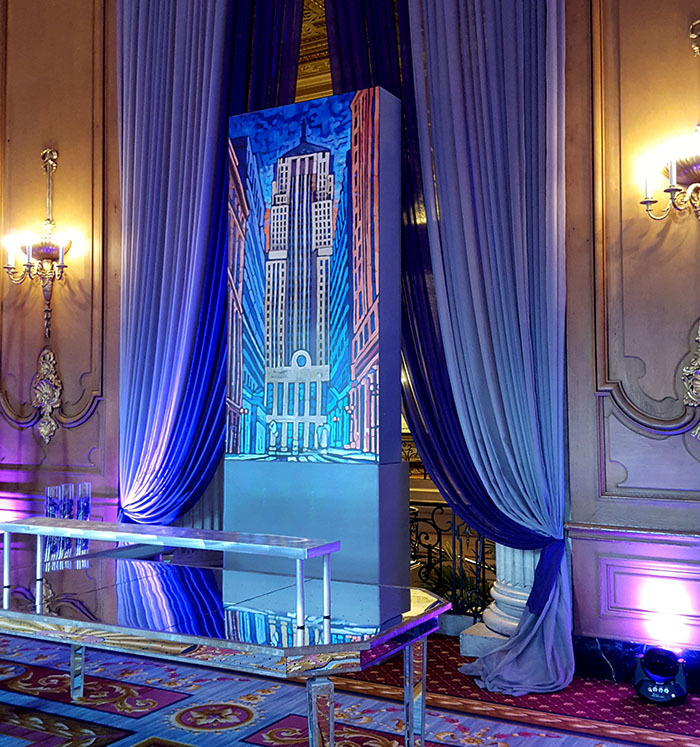 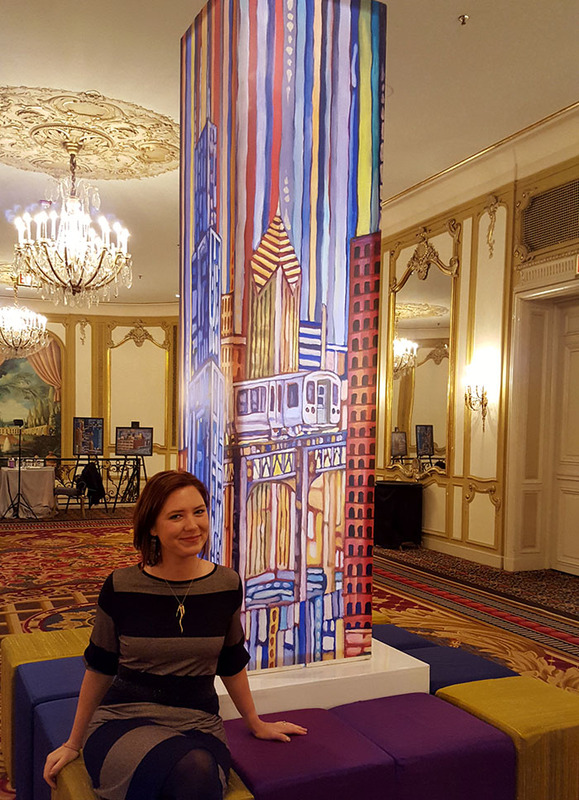 The center reception area featured a modern twist on decorative columns – painting images that wrapped around a vertical box and lit up when the event started. 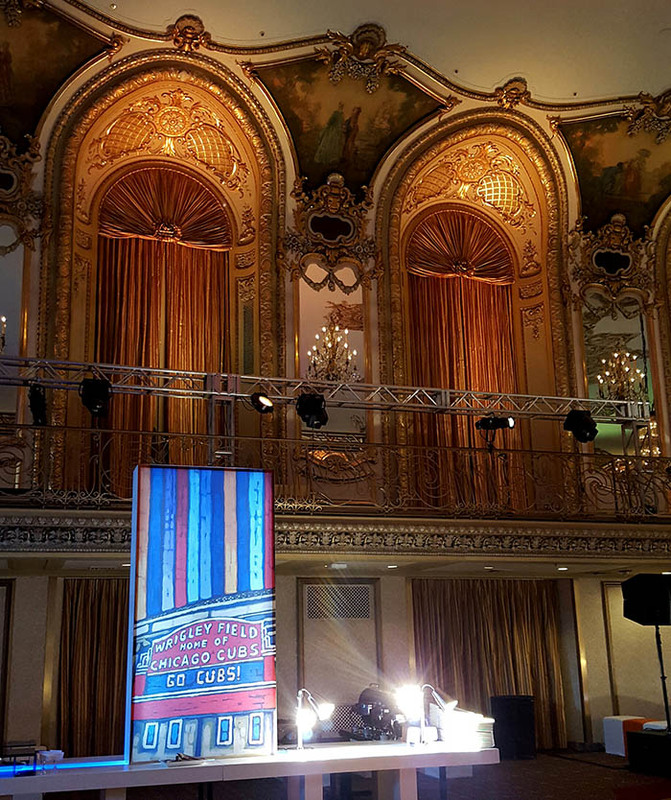 The main ballroom had large bar, themed food stations, and dancing. 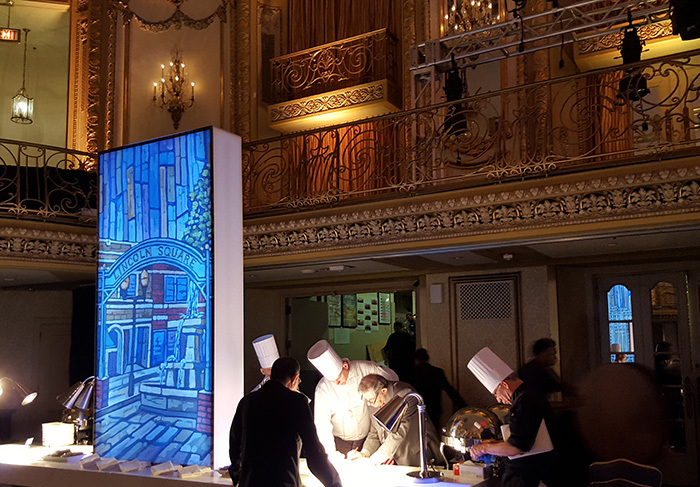 Each themed food station was adorned with a lightbox featuring a painting image of mine that is tied to a neighborhood – Lincoln Square, Wrigleyville, Bucktown, the Loop, etc. 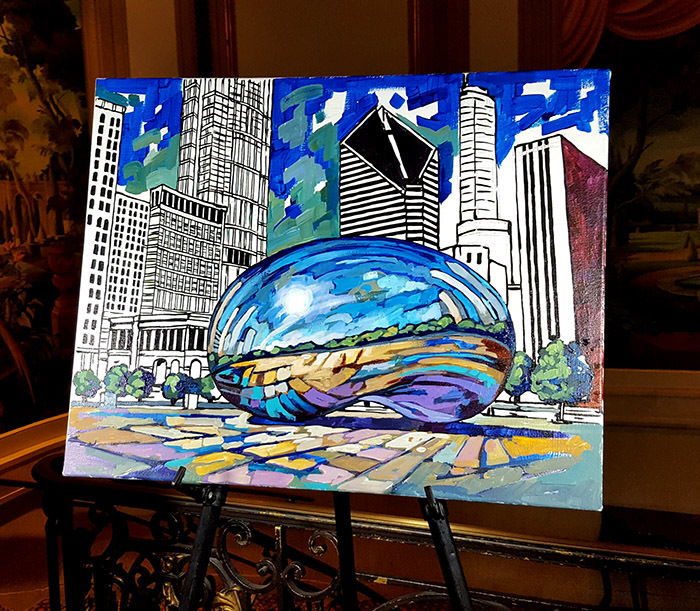 This 16×20 piece was worked on for 2.5 hours and later completed in the studio. 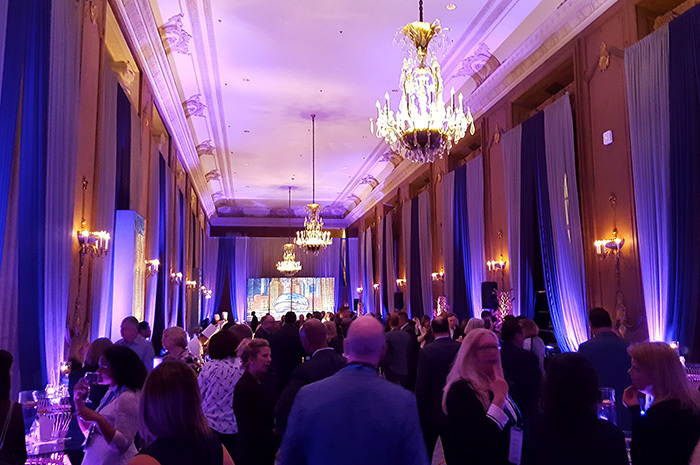 The whole evening was like a fairytale. 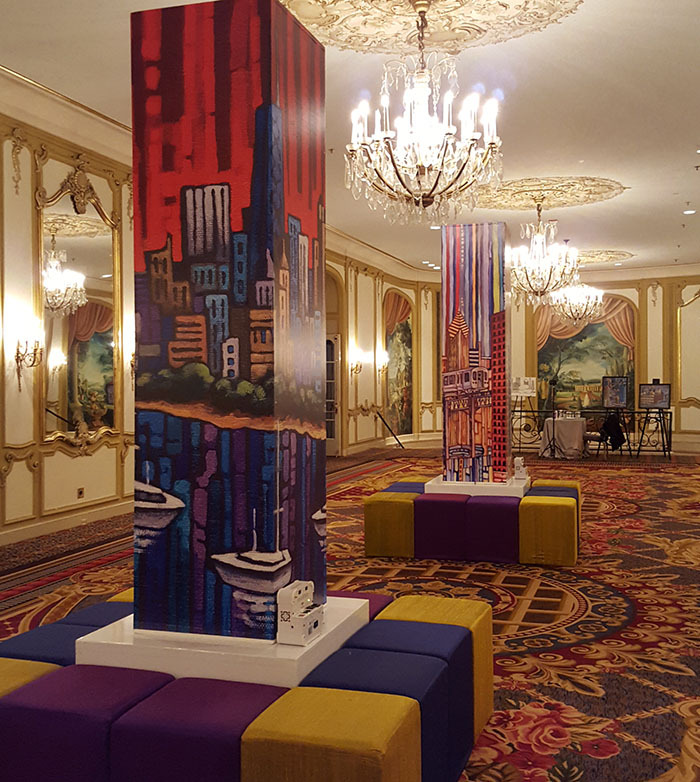 It was perfectly executed, and seeing my art juxtaposed with the classic ornate designs of ballrooms gave it a bit of an Alice-in-Wonderland feel. 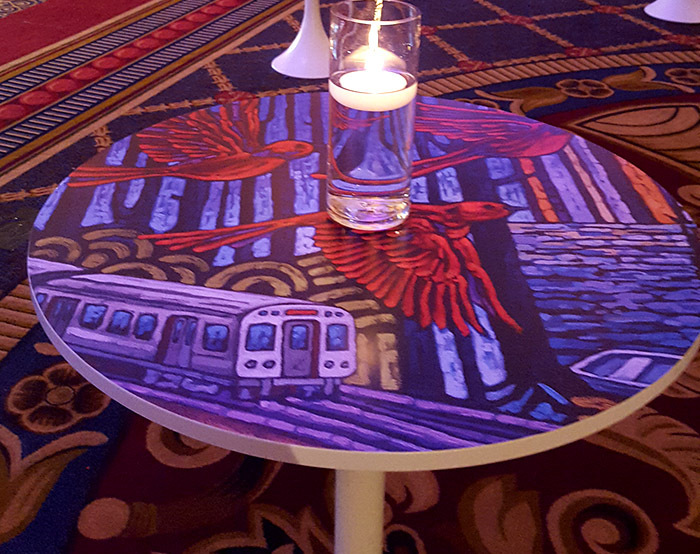 Access Chicago did an excellent job with getting my image files imprinted onto translucent plastic and making them glow. 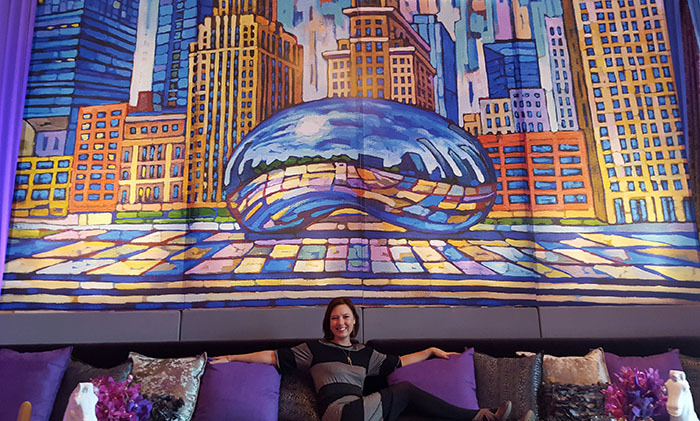 And huge credit goes to Jackson Junge Gallery for facilitating connection with this client.